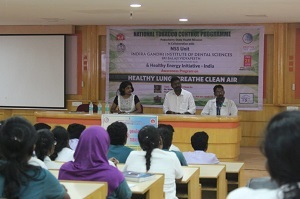 Indira Gandhi Institute of Dental Sciences (IGIDS), is an on-campus constituent college of Sri Balaji Vidyapeeth (Deemed University), Pondicherry. IGIDS is a globally emerging Institute of outstanding reputation in providing quality dental education and congenial learning atmosphere to create future dental leaders. The budding dentists here are self-directed learners, compassionate dental professionals, and change agents. The energetic and enthusiastic teachers are multifaceted facilitators, inspiring role models, and caring mentors. The institution follows an innovative dental curriculum that includes early clinical exposure, integrated learning, SPICES curriculum, competency based training that is well supported with e-learning environment and formative assessment with effective feedback from improvements. The Institute possesses fully functional dental chairs, latest gadgets for patient service and research, a well-equipped library and e-consortium in sprawling buildings. The students are well taken care of by strong mentorship program, counseling facility, yoga, and physical education, nurturing of nonscholastic talents, motivation to lead social causes and also remediation for difficulty in learning. The Institute possesses Memorandum of understanding with global leaders in dental education, the University of IOWA. A systematic feedback system is in place to listen to the students, parents, and patients. 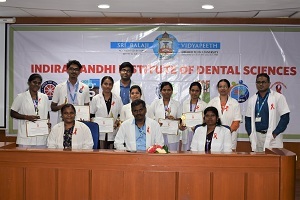 Indira Gandhi Institute of Dental Sciences popularly referred as IGIDS is a rapidly emerging leader in dentistry, affiliated to Sri Balaji Vidyapeeth . Capture its glimpse through this short video clip. 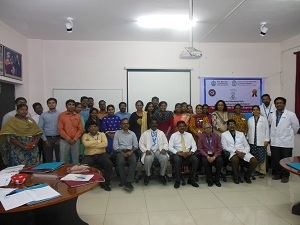 A recent research study about change in the pH of saliva and to assess the efficacy of the herbal rinses- Tulsi and Black myrobalans on Streptococcus mutans count and furthermore comparing it with Sodium fluoride mouth rinse was carried out successfully by Department of Pediatric and Preventive Dentistry, IGIDS.